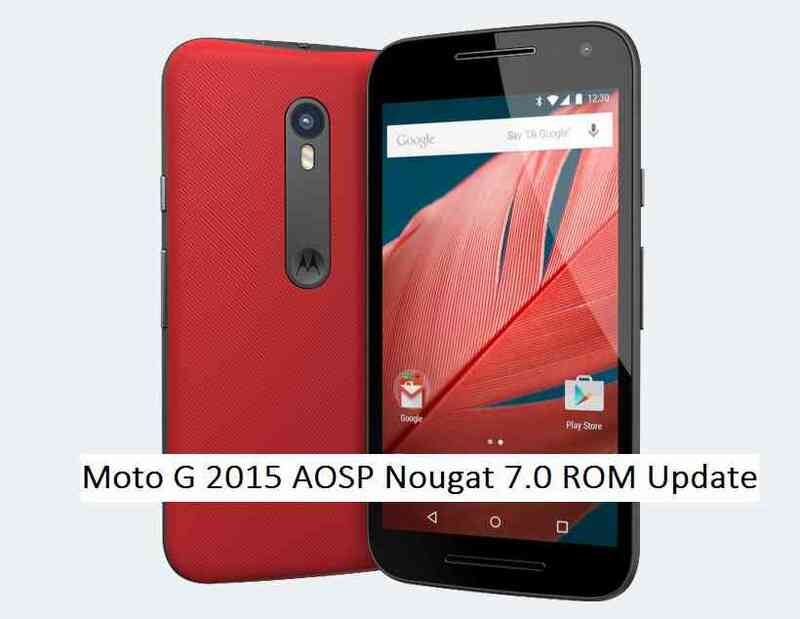 Android AOSP 7.0 Nougat ROM for Moto G 2015 (osprey) is now available through an unofficial AOSP ROM update and this is a guide which explains how to update Moto G 2015 (osprey) to Android Nougat 7.0. Since the Android Nougat Source code release, till now we have many Android Nougat ROMs available for various devices and also we have many CyanogenMod 14 ROMs. This time the Nougat ROM (build number: NRD90M) has arrived to Moto G 2015 which is brought to you by developer Alberto97. Installing a custom ROM on a the Moto G 2015 requires a custom recovery to be installed, which may VOID your warranty and may delete all your data. Before proceeding further you may consider backup all data on the phone. You are the only person doing changes to your phone and I cannot be held responsible for the mistakes done by you. TWRP recovery download link for Moto G 2015 (osprey) by squid2. – Follow this guide: How to Install TWRP on Moto G 2015 using Fastboot (This requires an unlocked bootloader). Download the Moto G 2015 Nougat zip file and a suitable Nougat Gapps zip file from the above download link and copy both the files to phone. First flash the Moto G 2015 Nougat AOSP ZIP from device. DO NOT REBOOT YET. Now mount the system from the custom recovery. Goto mount -> select the system and go back. Copy the latest Moto G 2015 Nougat 7.0 ROM ZIP file to your phone. Reboot to system after flashing is done completely. Do the required initial setup and enjoy the Nougat ROM for Moto G 2015. If you face any problem following this guide or post installation then just login and leave a comment to get an instant reply from us. To root this Moto G 2015 Nougat 7.0 AOSP ROM, download the SuperSU package and follow the link there to install it and then Profit !!! Development thread for Moto G 2015 (osprey) is here. Hi, Please you can port this rom to the moto e 2015 lte ”surnia”?